Paul Davis On Crime: Will Poldark's Aidan Turner Be The Next James Bond? Will Poldark's Aidan Turner Be The Next James Bond? 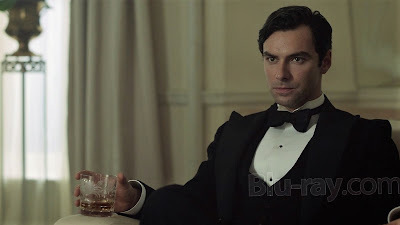 Jacqui Merrington at the British newspaper the Cornish Guardian offers a piece on the odds of actor Aidan Turner taking over the role of Ian Fleming's iconic character James Bond if and when Daniel Craig gives up the role. Poldark heartthrob Aidan Turner is now second favourite in the running to become the next James Bond. Amid rumours Daniel Craig has turned down a multi-million pound deal to return as 007, Turner has apparently held talks with producers. Note: The above photo is of actor Aidan Turner in And Then There None. Aidan Turner may not be as well known as Hiddleson now,but oh what a loin stirring Bond he would be. He would certainly shake up the francise. I think Turner fits Ian Fleming's description of Bond and he showed he could play the part with his role in "And Then There None."